Auralex® SonoLite™ SonoKit-1™ in black, including eight SonoLite Panels, two SonoLite Bass Traps and 40 EZ-Stick Pro tabs. 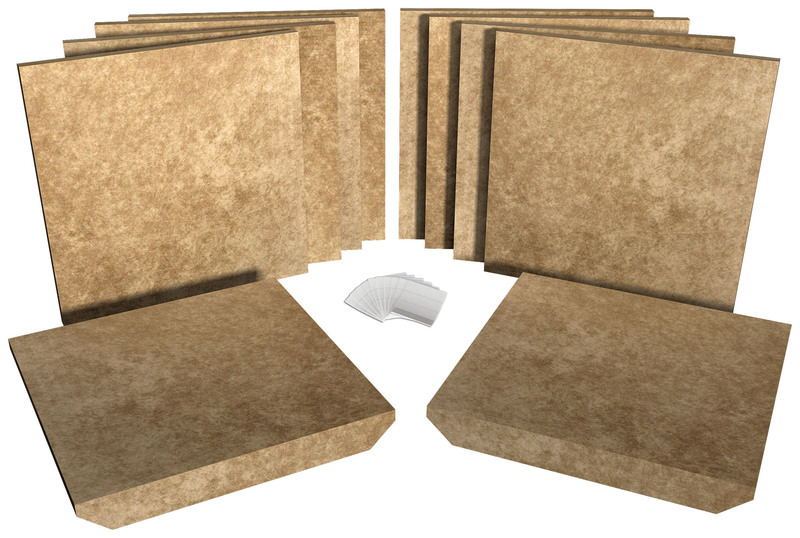 Auralex® SonoLite™ SonoKit-1™ in tan, including eight SonoLite Panels, two SonoLite Bass Traps and 40 EZ-Stick Pro tabs. 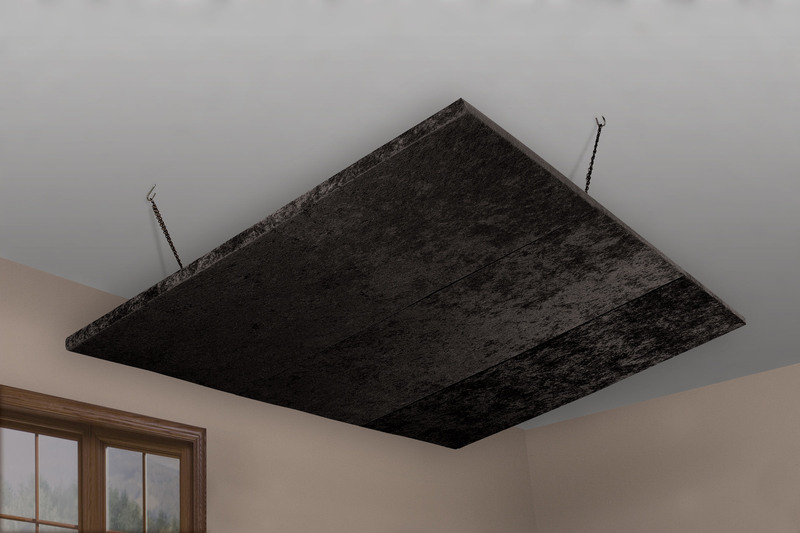 A rendering of Auralex® SonoLite™ SonoKit-1™ in black, installed in a room. 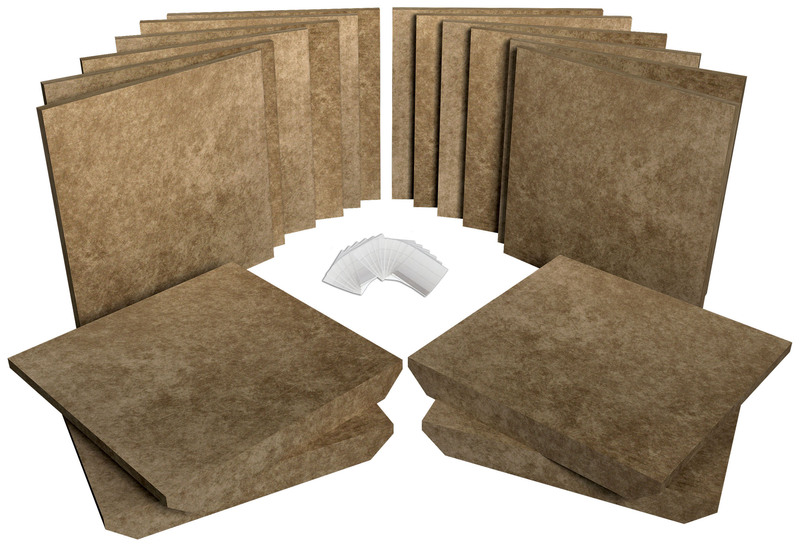 Auralex® SonoLite™ SonoKit-2™ in tan, including 12 SonoLite Panels, four SonoLite Bass Traps and 64 EZ-Stick Pro tabs. 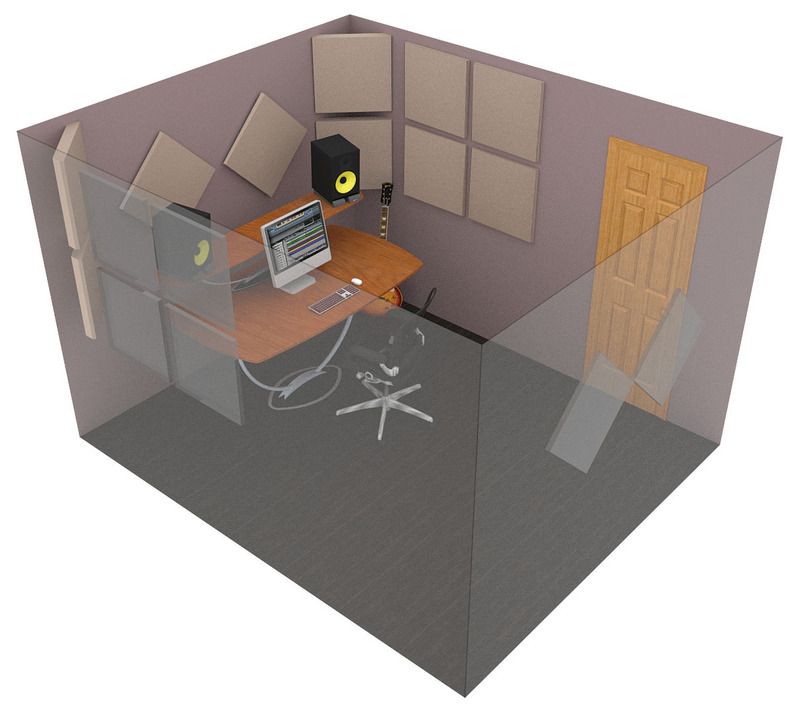 A rendering of Auralex® SonoLite™ SonoKit-2™ in tan, installed in a room. Auralex® SonoLite™ Cloud in black. Auralex® SonoLite™ Cloud in tan. Auralex® SonoLite™ Cloud in tan (single two-foot x four-foot panel). Indianapolis, IN, November 24, 2015 – Auralex® Acoustics, Inc., the world’s leading brand of acoustical treatments, announces the availability of new products in its SonoLite™ range. 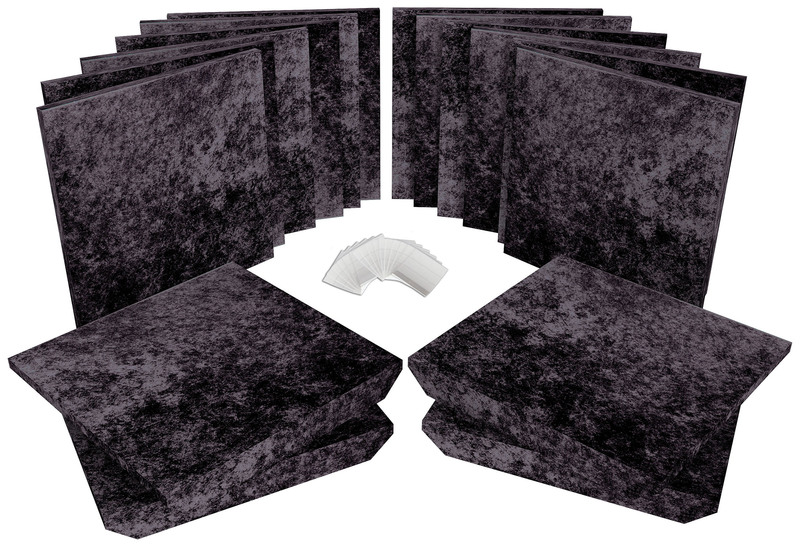 Modeled after the popular Auralex Studiofoam® Roominator™ Kits, SonoLite SonoKits™ are convenient and modular configurations of Auralex’s SonoLite Panels and SonoLite Bass Traps. 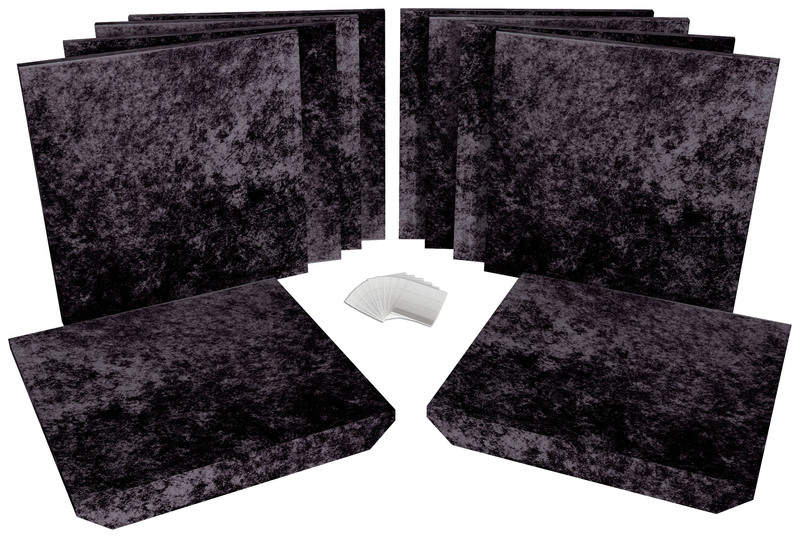 They offer the same superior performance as the industry-leading Studiofoam, with a stylish velour fabric covering. SonoLite SonoKits are cost-effective, and an excellent choice for residential applications such as home studios and home theaters. SonoLite Cloud Panels are configurations of two-foot x four-foot panels that can be flown individually or arrayed to form a six-foot x four-foot cloud. Assembly hardware with fly points included. 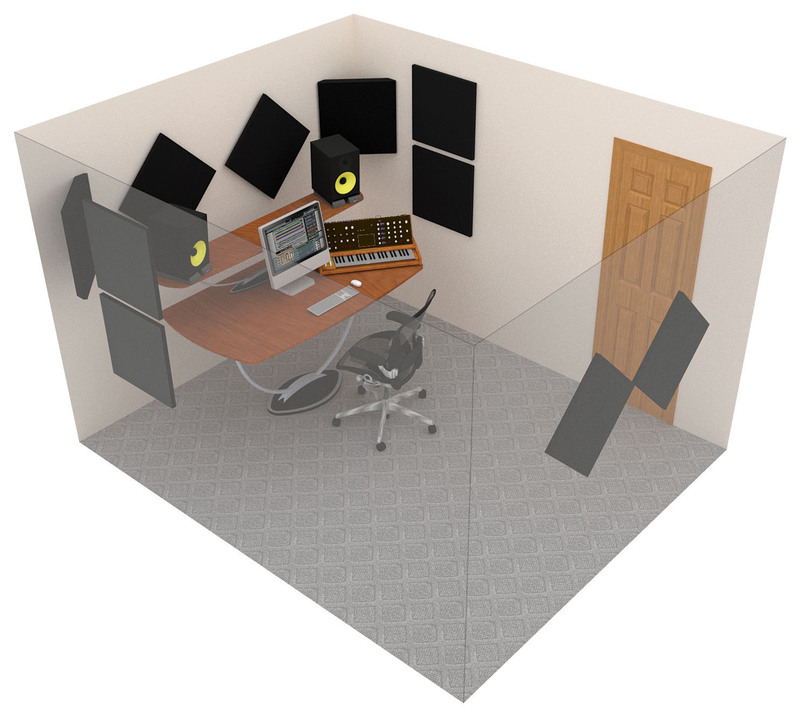 Auralex’s SonoLite panels are fabric-wrapped Studiofoam® Pro acoustical absorption panels that provide excellent broad-band frequency control. SonoLite panels are available in packages of 2 and are a great way to add additional absorption to the SonoKits. 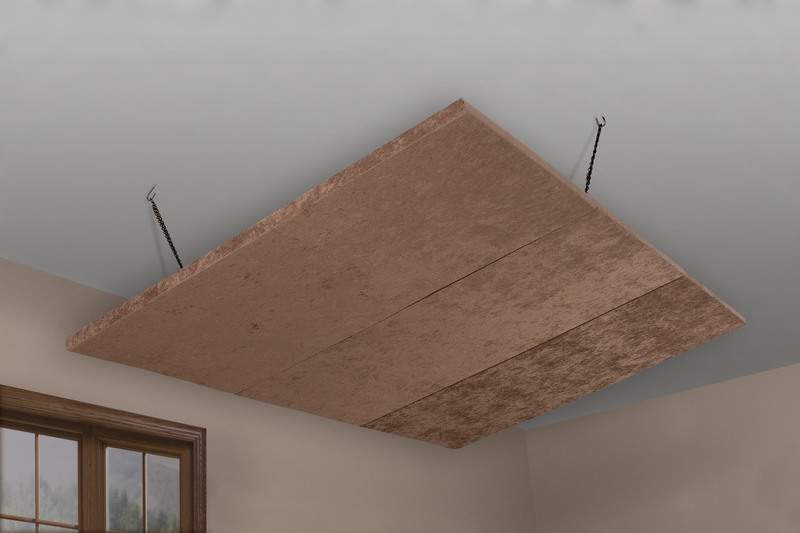 SonoLite panels can be used for wall or ceiling applications, and SonoLite Bass Trap panels, sold individually, can be installed in either vertical or horizontal orientations where walls and ceilings meet. Auralex’s proprietary Studiofoam Pro is used in the SonoLite panel to maximize absorption performance in its one-inch thickness. Studiofoam is also used in the three-inch-thick Bass Trap panel to optimize low frequency performance, resulting in highly effective control preventing bass build-up and cancellation that would mask your room’s true low-frequency character. All SonoLite products are available in tan or black. For more information, please visit www.auralex.com/. Photo Caption 1: Auralex® SonoLite™ SonoKit-1™ in black, including eight SonoLite Panels, two SonoLite Bass Traps and 40 EZ-Stick Pro tabs. Photo Caption 2: Auralex® SonoLite™ SonoKit-1™ in tan, including eight SonoLite Panels, two SonoLite Bass Traps and 40 EZ-Stick Pro tabs. Photo Caption 3: A rendering of Auralex® SonoLite™ SonoKit-1™ in black, installed in a room. Photo Caption 4: Auralex® SonoLite™ SonoKit-2™ in black, including 12 SonoLite Panels, four SonoLite Bass Traps and 64 EZ-Stick Pro tabs. Photo Caption 5: Auralex® SonoLite™ SonoKit-2™ in tan, including 12 SonoLite Panels, four SonoLite Bass Traps and 64 EZ-Stick Pro tabs. Photo Caption 6: A rendering of Auralex® SonoLite™ SonoKit-2™ in tan, installed in a room. Photo Caption 7: Auralex® SonoLite™ Cloud in black. Photo Caption 8: Auralex® SonoLite™ Cloud in tan. Photo Caption 9: Auralex® SonoLite™ Cloud in tan (single two-foot x four-foot panel).